Loot Gaming brings some really cool items focused on gaming in a crate delivered to your mailbox. 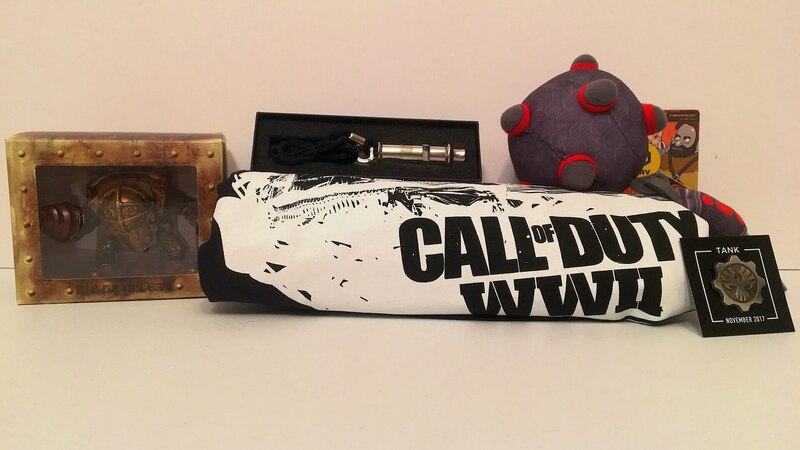 This crate, valued at over $60, has items such as figures (licenses), collectibles, apparel, and more from video games of all times. We are going to take a look at September, October, and November Loot Gaming Crates to demonstrate the consistent quality that you get each month. 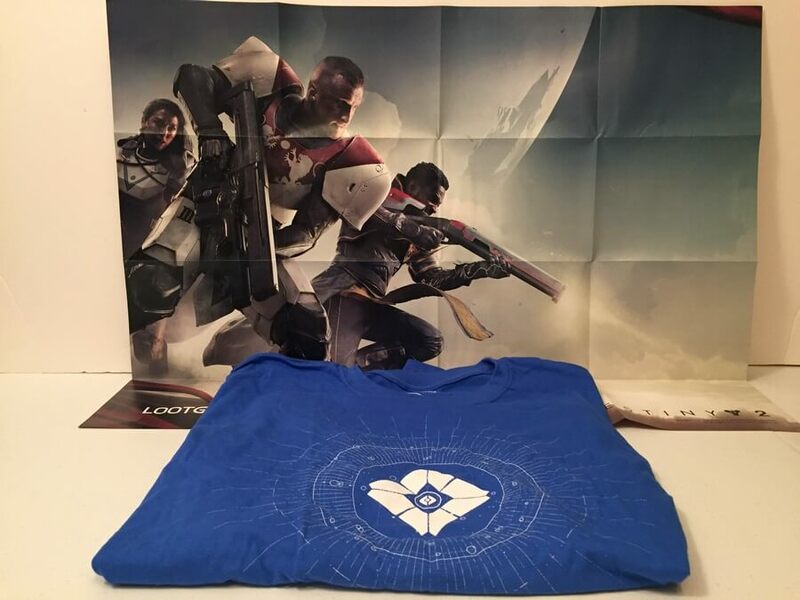 The first item in this crate was a Destiny 2 Ghost T-Shirt. I like the color and the design of this shirt. 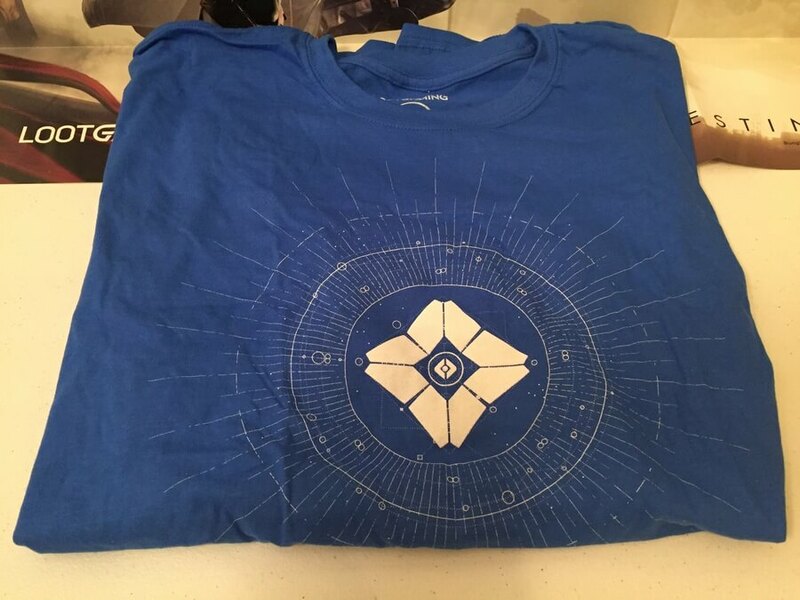 Definitely a nice shirt for Destiny 2 fans. 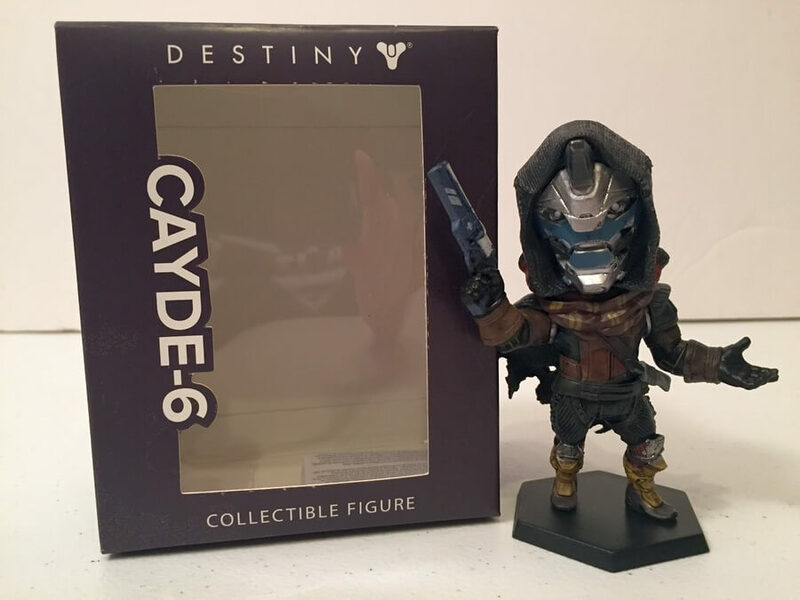 Also from Destiny 2, this CAYDE-6 Figure was also something to add to your collection if you’re a fan. This is a nice Prey Talos 1 Water bottle that comes with a straw and mouthpiece. The only thing I don’t like about these plastic water bottles (well, really most of these type of bottles) is the fact they are not dishwasher safe. But, that is just the lazy dishwasher in me rearing it’s ugly head. 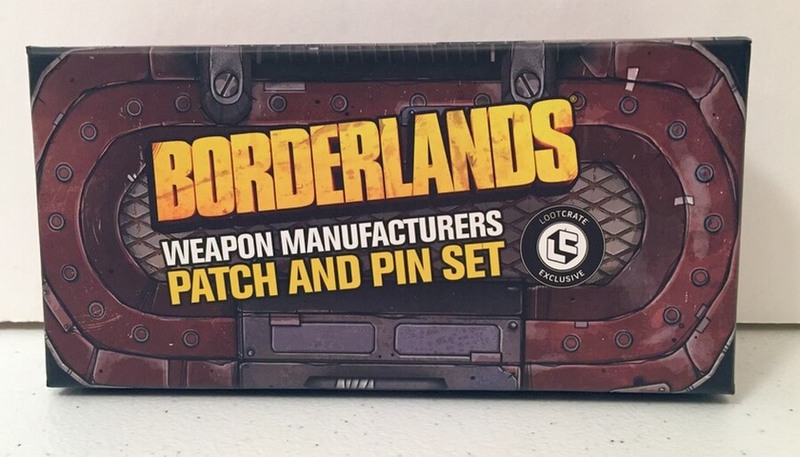 This pin and patch set from Borderlands was the customary pin that was included in the September box. 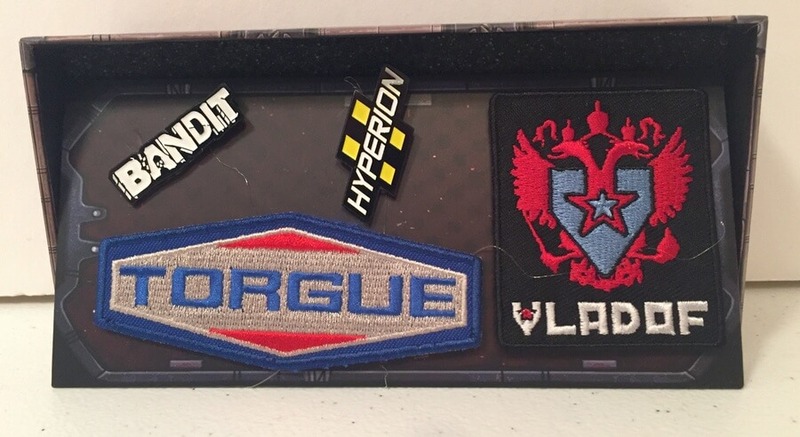 It comes with more than one pin which is a little different and the patch is somewhat new, as well. That is what you got for September. The October box had a theme of “Demon” in honor of the scary Halloween month. From the looks of this shirt, it fits the “Demon” theme very well! 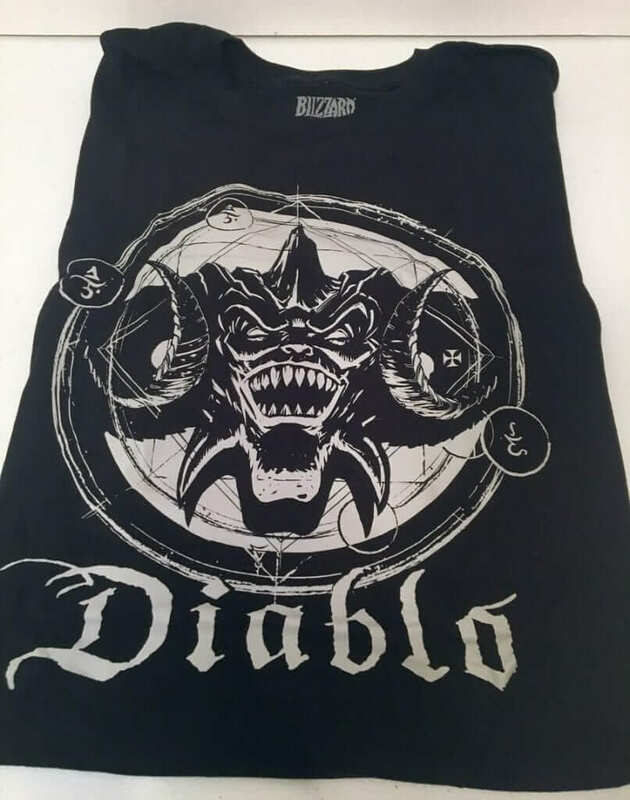 From Diablo, this was the t-shirt for October. 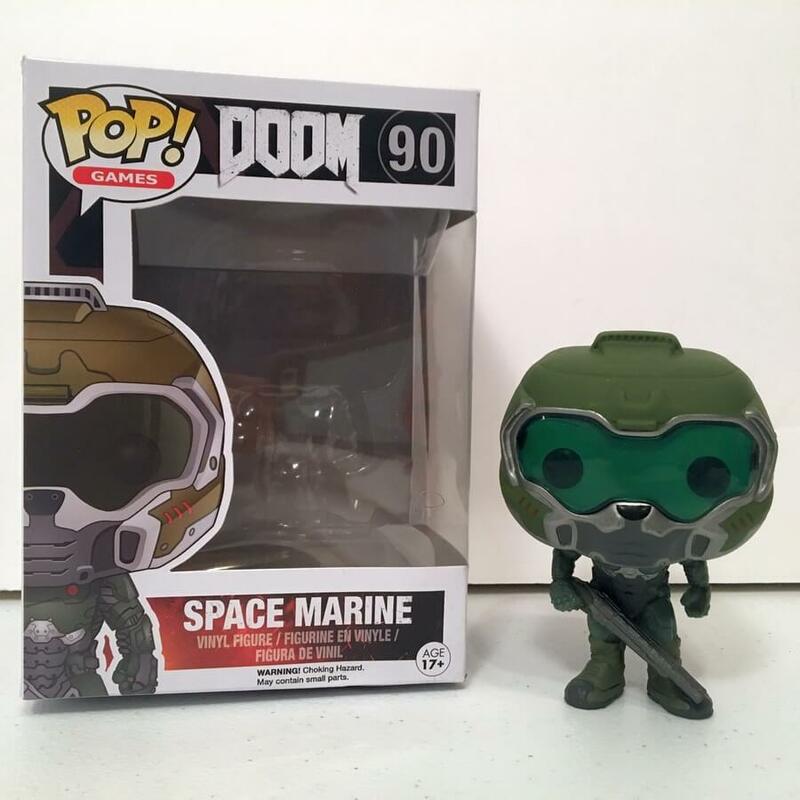 From Doom, the Funko Pop! Figure of a Space Marine was included in this box as well. 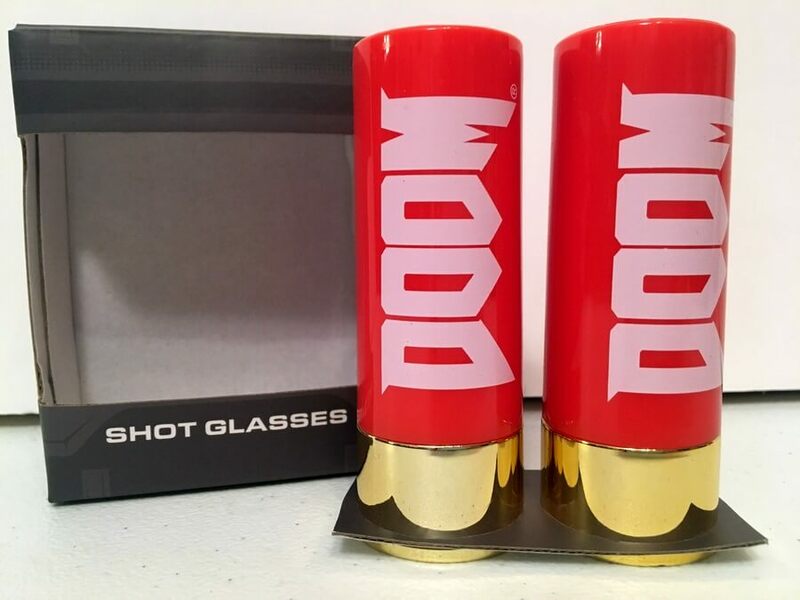 Also from Doom is these pretty cool shot glasses. This pair of shot glasses would definitely be one for your collection. Different and unique! 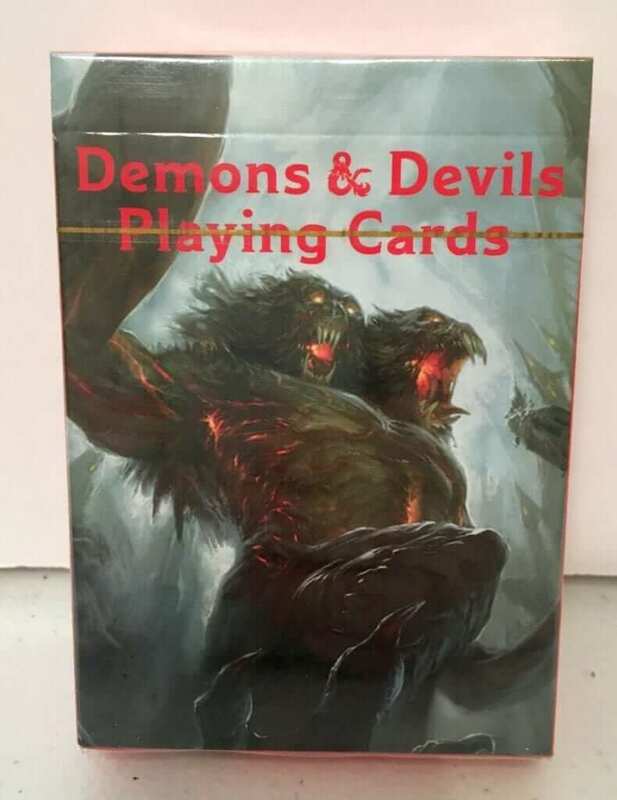 If you’re into D & D (Dungeons and Dragons), you will love these Demons and Devils Playing cards. 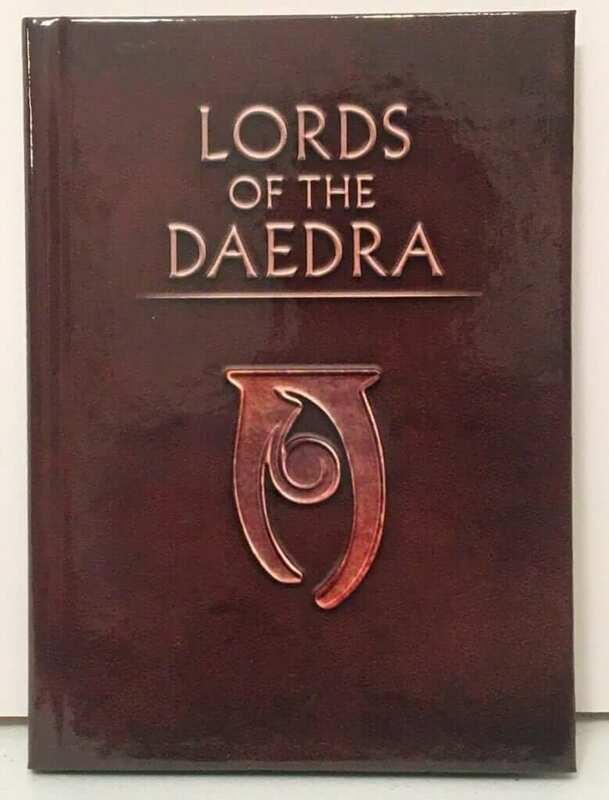 From Skyrim, this Lords of the Daedra book was also included in the October crate. This book brings some of the history of the game to you in writing. 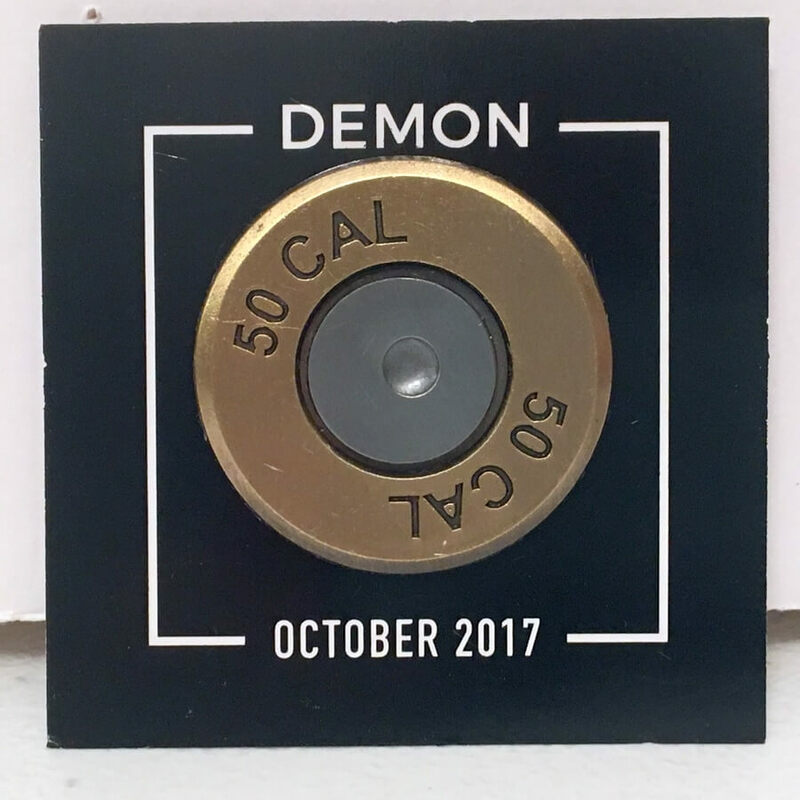 The collectible pin from October was this Demon themed pin. 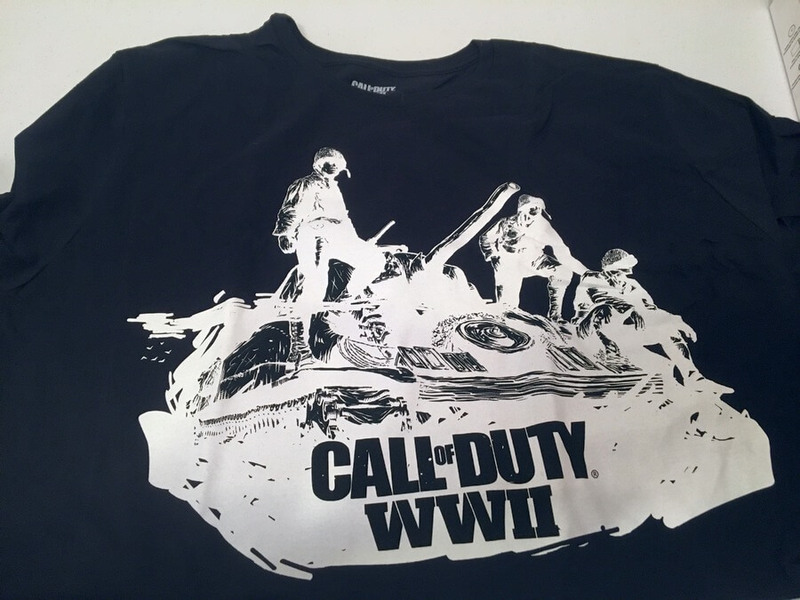 The first item including a tank was this Call of Duty WWII t-shirt. It’s actually a really nice t-shirt with a great design. 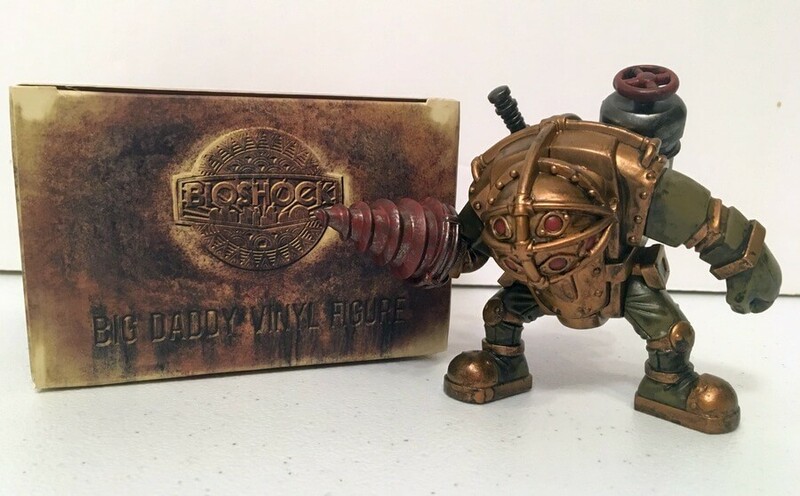 Now, this is a really nice BioShock Big Daddy Vinyl Figure. It just looks really cool! I think he could be considered a tank, as well. I wasn’t sure what this was from but checked it out and it appears to be a Gears of War plush grenade. 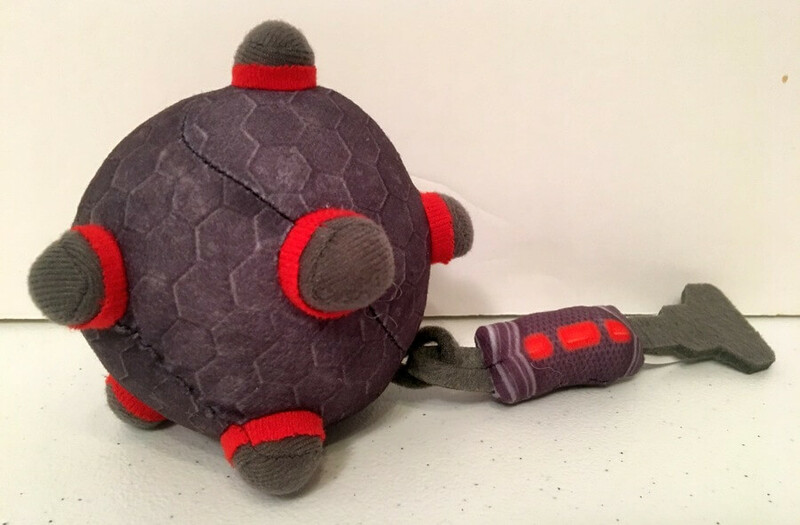 I’m not sure what purpose I have with a plush grenade but, again, there are thousands (maybe millions) of Gears of War fans that would love to have it. 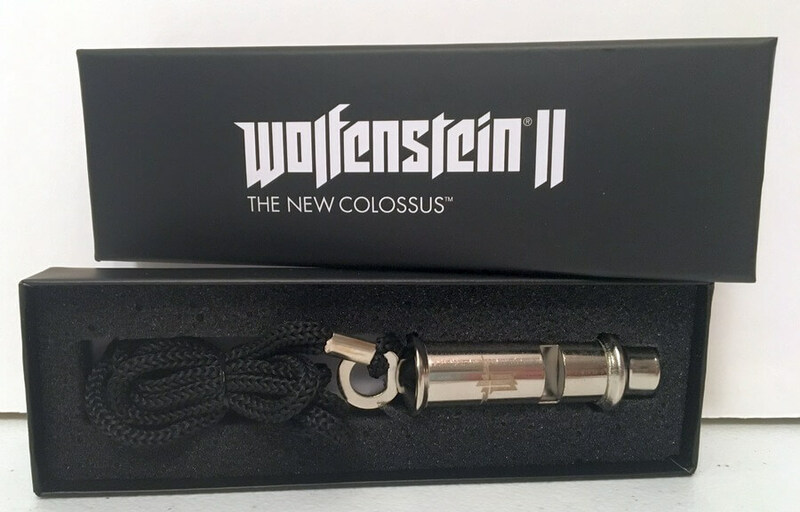 This is a replica of the New Colossus Panzerhund Whistle from the game Wolfenstein II. There are millions of uses for a whistle on a string. It’s possible this could be useful in the morning when trying to wake up the kids. 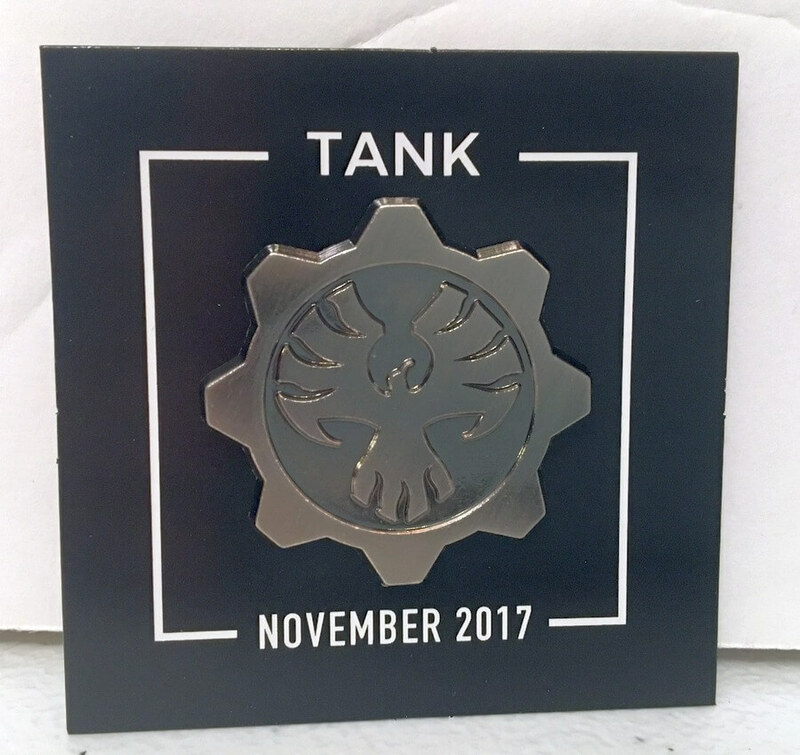 This is the collectible pin from the “Tank” themed Loot Gaming box for November. As you can see, Loot Gaming brings some great gaming themed items in a box each month. If you are a gamer, you would probably love this box! It’s a great choice for subscription boxes. January’s theme is Boss Battle and you have until January 27th to order and subscribe.